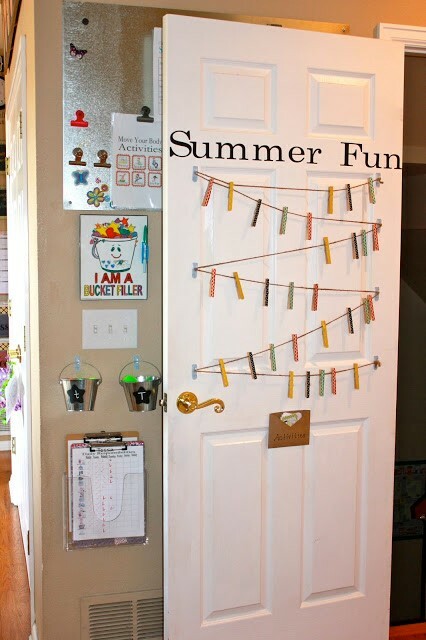 Not too long ago, I shared our “Summer Fun” door, which happens to be some command hooks, twine, and clothespins. 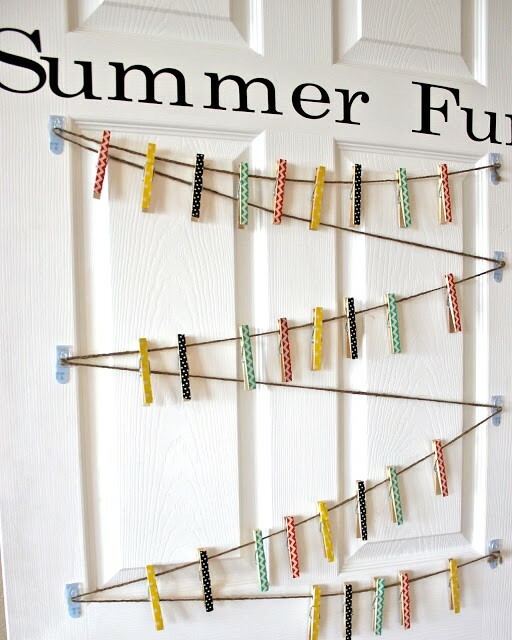 We’re going to use it to clip all the fun activities we do this summer. 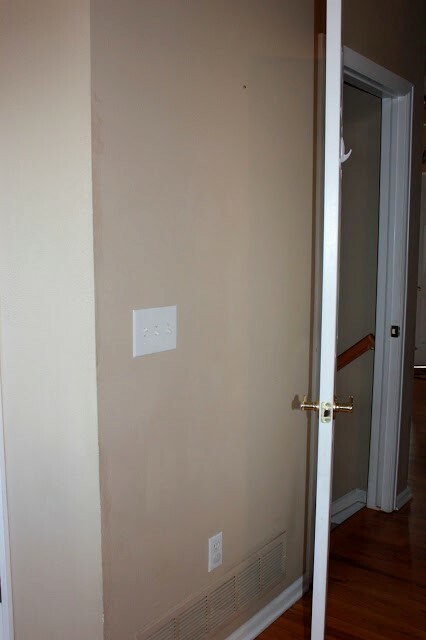 What I hadn’t shown you was the wall behind the door. 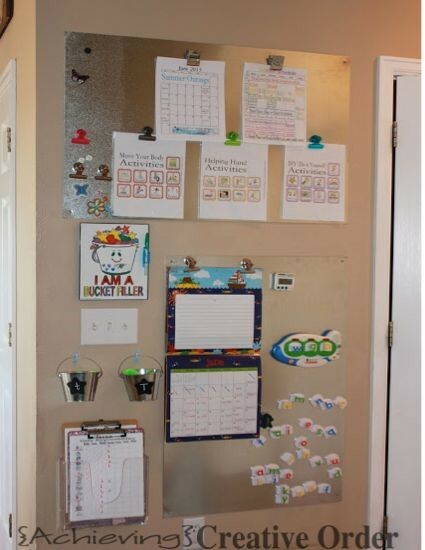 A while back I shared how I switched my bulletin board over for chalkboards on my family’s command center. 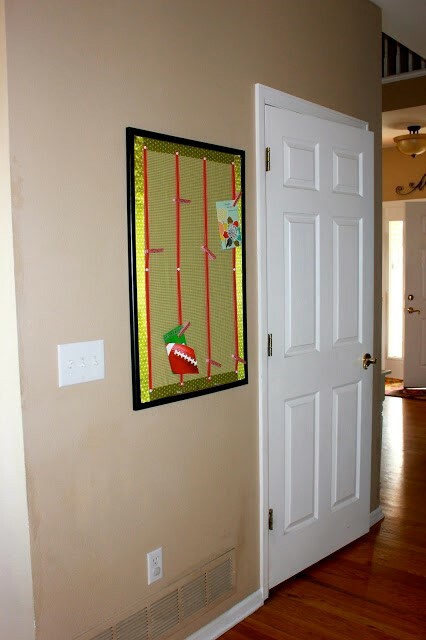 That bulletin board ended up going on that wall behind the door. Guess what? I’m considering moving it back. It just isn’t working here and I miss having a place for announcements, invitations, and whatever else that might need a temporary home. 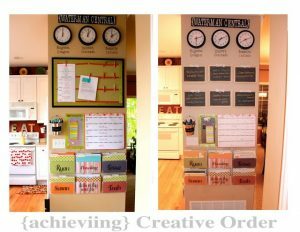 I did come up with another idea for this little wall though. A few weeks ago we got a new stainless steel refrigerator (I’ll post about that later). 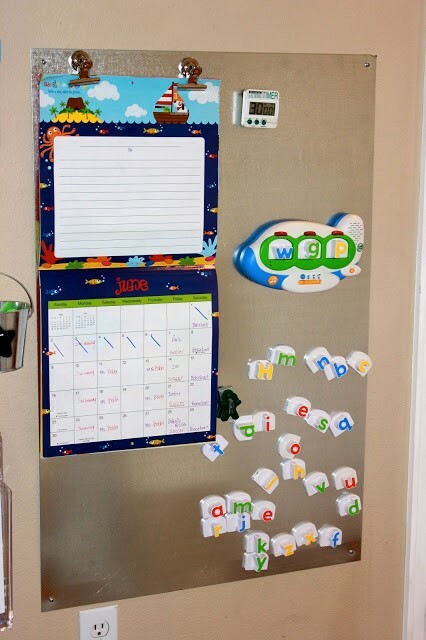 And while I love it and its sleek look, my kids are missing the fact that it is no longer magnetic. That’s where the idea for this wall came in to play. I bought some sheet metal (in the plumbing section at Lowes). 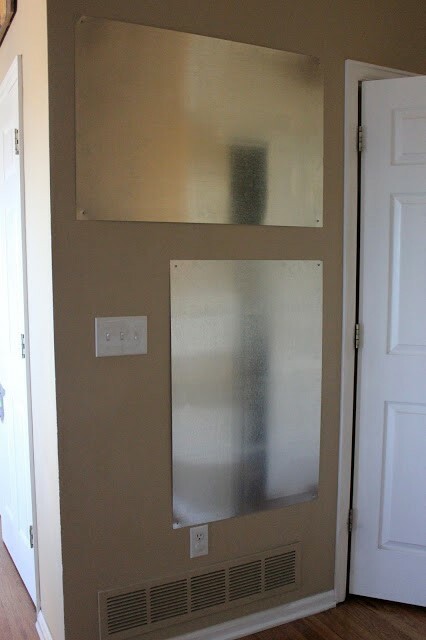 Then hubs and I hung them on the wall using screws and dry wall anchors. 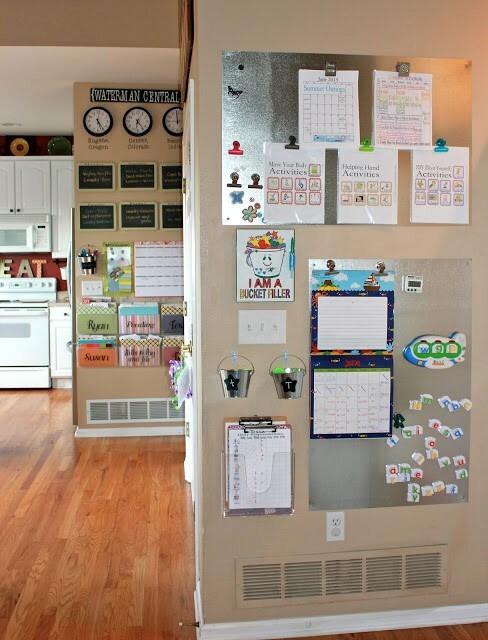 Now we have a place to hang all of the kids’ “stuff”. 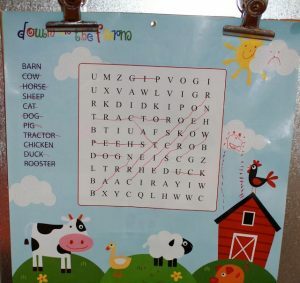 I found this fun calendar at Michael’s a while back. 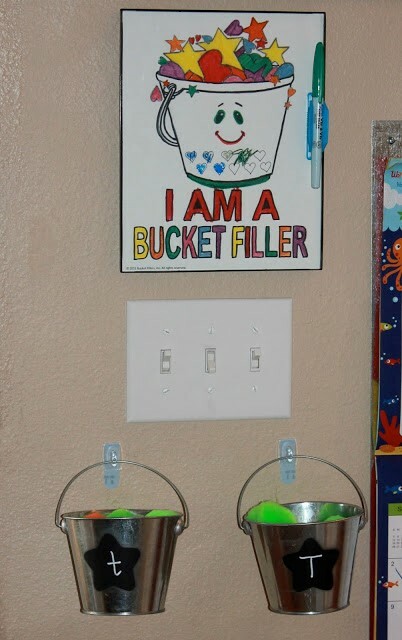 The kids like it because it has new activities every month. 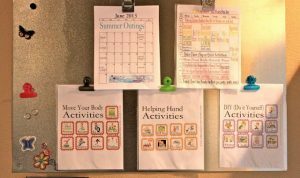 Up top, I currently have our summer schedules and activities (see more about them and get your own copies here). 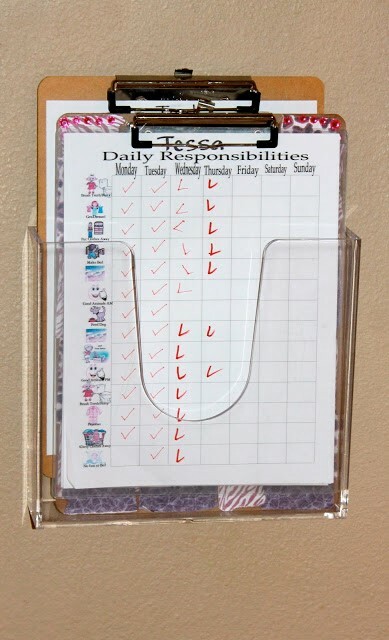 and a magazine rack to hold the kids’ chore charts. Here it is all sort of put together. keep the door open when we need to. 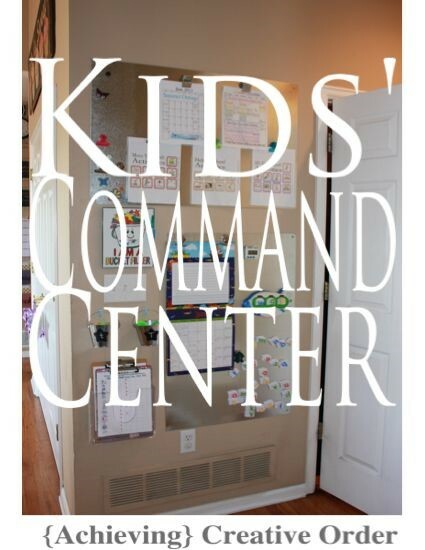 Can you tell I like me a command center? Now the kids have one specific to them!